Lena Raine - Oneknowing. Vinyl LP. Bleep. Lena Raine has made her name as a composer of music for video games - Guild Wars 2 and Celeste are probably her best-known works - but with Oneknowing the Seattle artist steps into the spotlight, with this release on Local Action. The collection that Raine considers as her debut album as an artist in her own right, finds her creating a delightful and unique sound world for the listener to play around in. 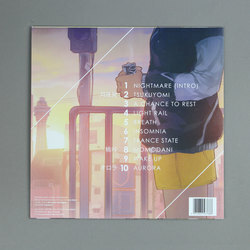 After a brief introductory number, ‘Tsukuyomi’ lays out the groundwork for this record. The track coasts along on warm Rhodes piano, zither and gently pattering electronic drums. From here, space opens up for Raine to add her one-of-a-kind vocals. 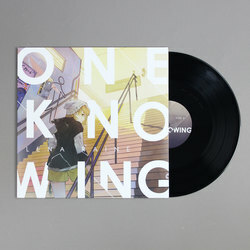 Using the software Vocaloid to ‘de-age’ her voice, Raine’s singing glides serenely above the mix in a manner reminiscent of Zero 7’s ‘In The Waiting Line’. When you notice that Raine is using a language she’s invented specifically for Oneknowing, it’s clear that we’re dealing with a highly original artist here. Other vocal-led numbers stick to a similar formula while also shading in other influences. There are moments when the more cerebral end of Portishead’s output is invoked by the combination of rolling electronic beats and Raine’s poised singing. 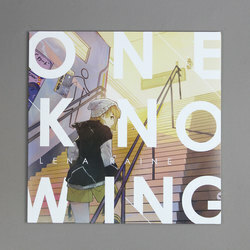 Boards Of Canada and Air are other obvious touchstones, and Oneknowing’s dreamlike feel gives it a Lynchian quality. The instrumental moments here are no less impressive. 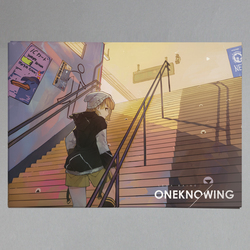 A couple of the cuts in Oneknowing’s second half bring together drum machines and icy synthesisers in a manner not dissimilar to the beats Yung Gud, Yung Sherman and White Armor have been serving up for Yung Lean of late. Stately, tranquil keyboard numbers tend to invoke comparisons with Ryuichi Sakamoto, but in the case of a track like ‘A Chance To Rest’ the similarities reflect well on both parties.